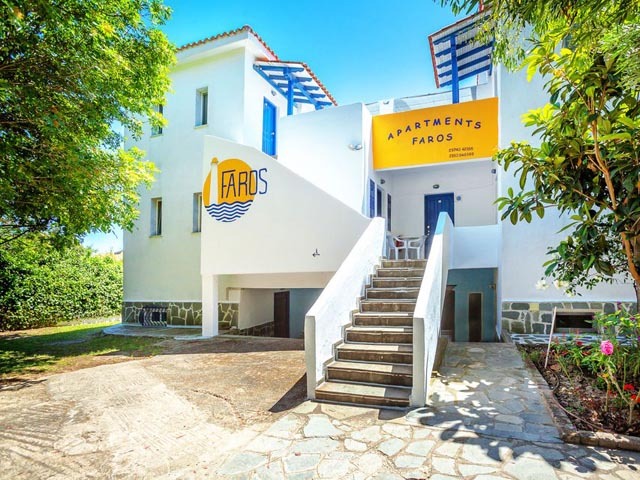 Open April to October ... Faros apartments are built to offer a comfortable and friendly environment for ideal summer vacations.It lays 100 m from the sea surrounded by a green area of olive and pine trees near super markets and graphical Greek taverns in the heart of Possidi village. 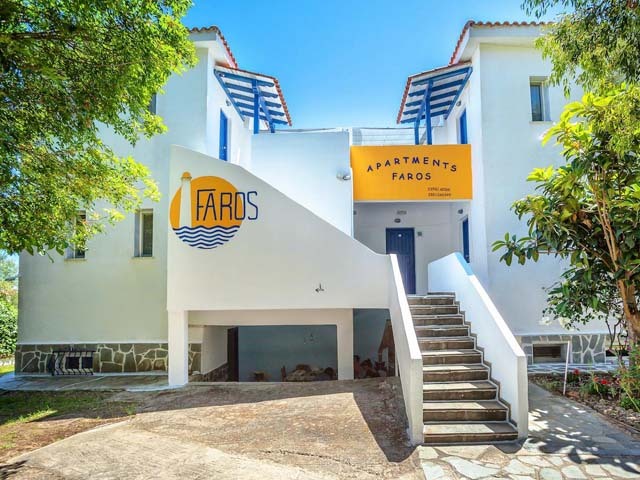 Open: April to September... Faros apartments are built to offer a comfortable and friendly environment for ideal summer vacations. 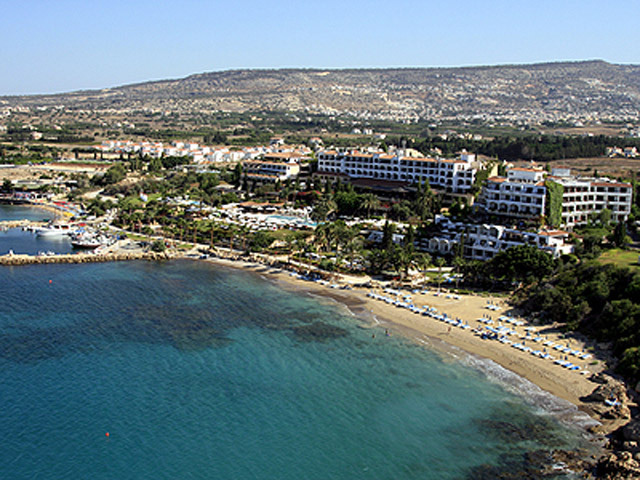 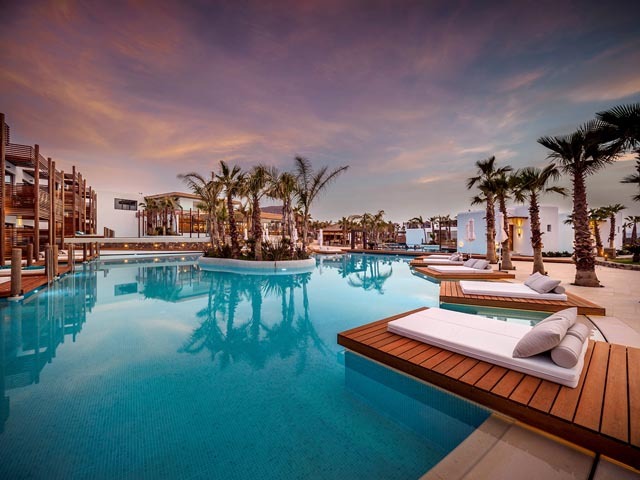 Open: April to October...Situated on Geoponika sandy beach, Georgalas Hotel offers air-conditioned rooms with furnished balconies overlooking Thermaikos Gulf. 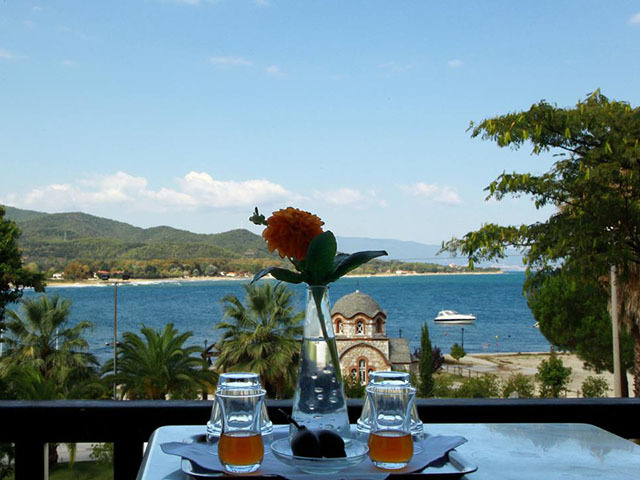 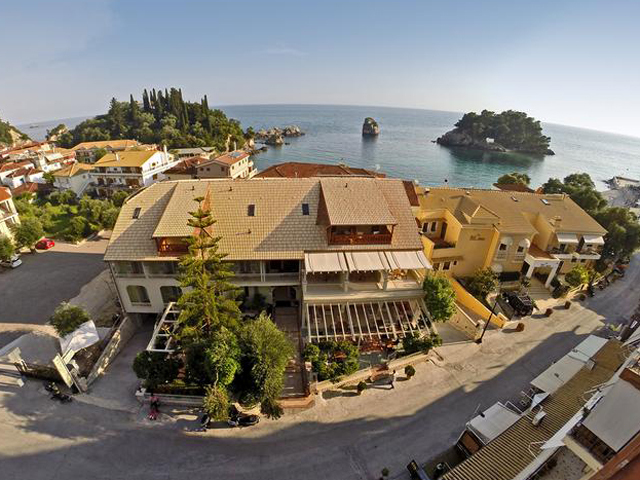 Open: May to October ... Hotel Akroyiali, formally known as «Germany», unlike its formal name, it is a hotel with authentic Greek traditional atmosphere. 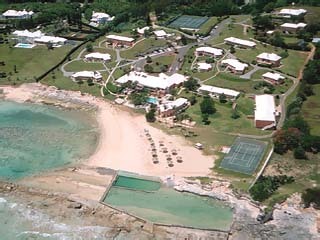 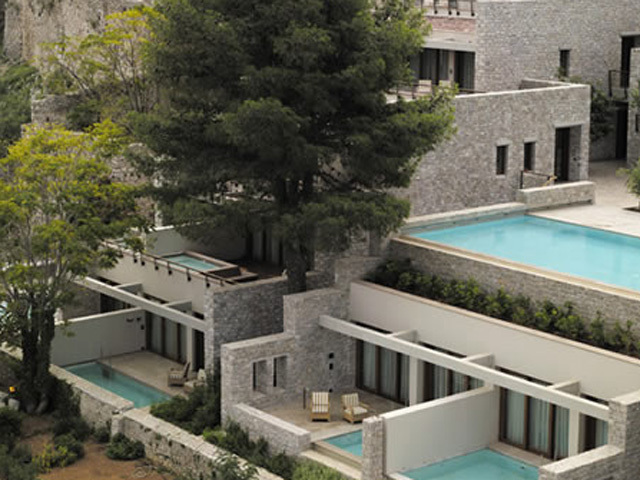 Built on the seashore where the view is a unique pleasure for every guest. 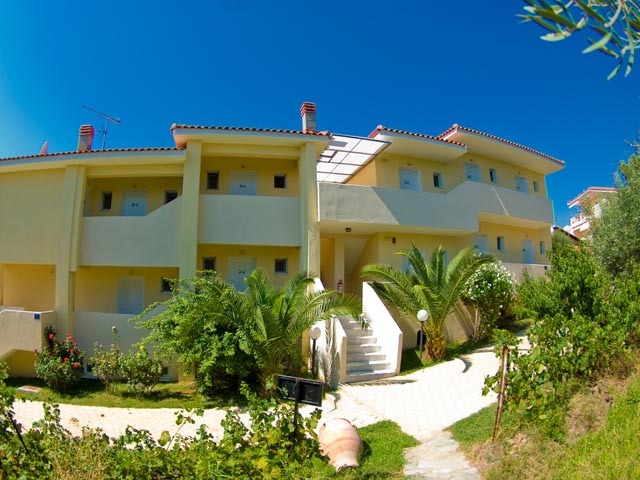 Open:May to October...The Hanioti Village Resort is situated in the traditional settlement Hanioti in Kassandra Halkidiki, a popular holiday resort surrounded by beautiful green pine forests.Stunning beaches and crystal blue waters are close by, creating a magnificent settin.The hotel's facilities and services have been specially designed to offer guests a comfortable and pleasant stay, whilst making them feel right at home. 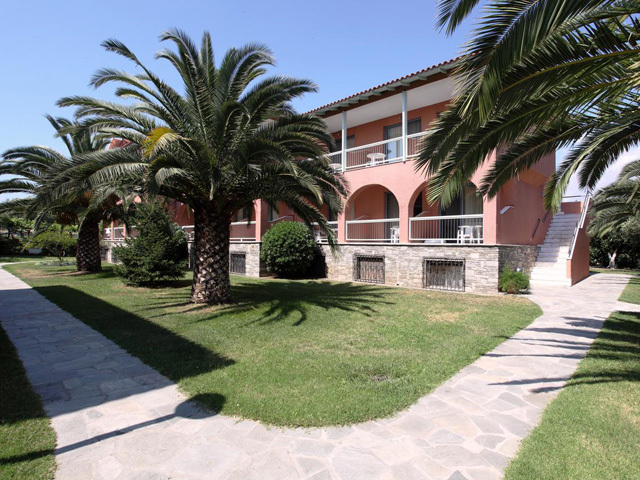 Open: May to October ... Hotel Liotopi is a boutique hotel located in Olympiada, a beautiful seaside resort on the east coast of Halkidiki. 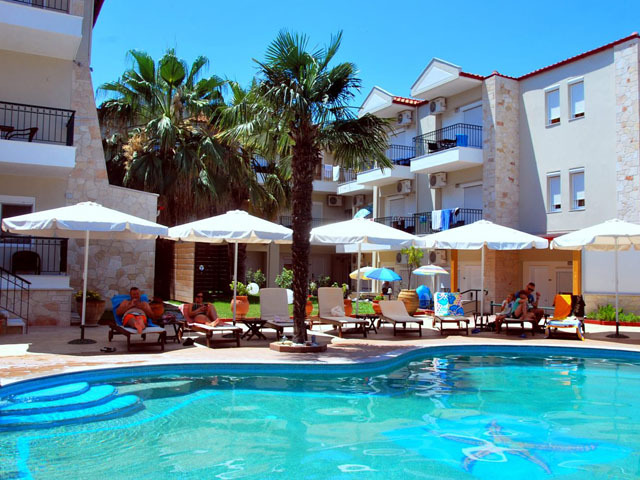 Open: May to September ... 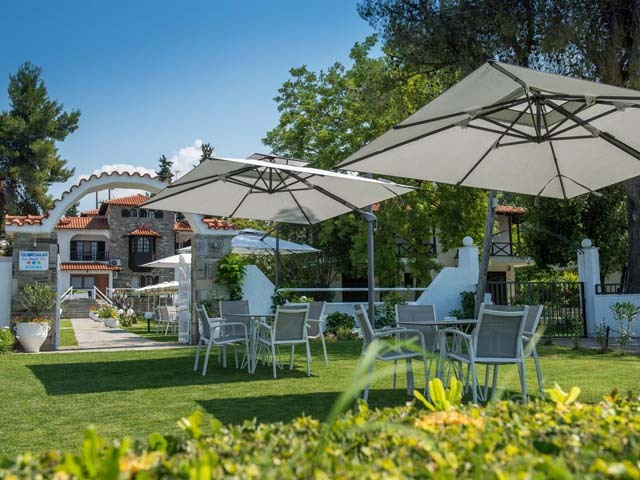 Among the eternal olive and pine trees of Chalkidiki, over the crystal waters of Toroneos bay, here in Pefkohori, our hotel, a small family business, promises you unforgettable moments in one of the most beautiful places of Chalkidiki and of whole Greece! 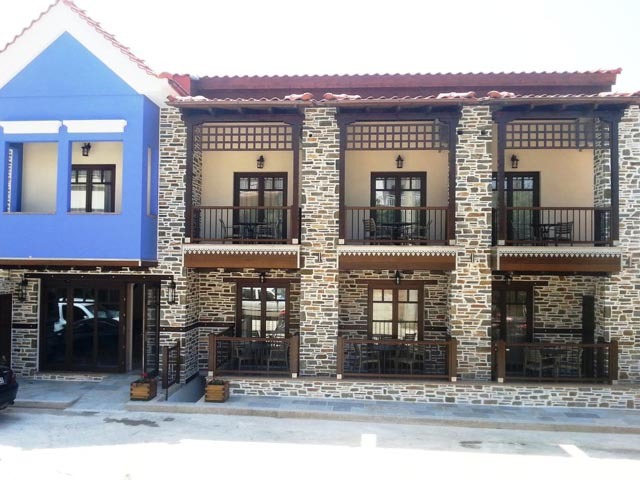 Open All Year...Ouranoupolis Princess is a newly built accommodation, located at the entrance of the small picturesque fishing village of Ouranoupolis, at the roots of Mount Athos.